The Christian church is a community. It’s made up of people who believe that Jesus is who he said he is; that he is God who has come to mankind, the Savior for all mankind. A church is a safe place for those who have questions and doubts about God. It is not a club for people who think they are better than others. Rather, it is a place for people who know they need Jesus, and they need one another. It is a place where we experience God’s grace, which is offered to everyone. The church is not a building. The church is people who not only gather on Sundays, but are on a shared journey with Jesus through life. From the first days Christians gathered on Sunday to pray together, be in community together, and to learn the teachings of the Apostles together. We continue this tradition, celebrating on Sunday, the day that Jesus rose from the dead, victorious over sin and the grave. As a church we also meet this way. Speaking together, sharing meals together, hiking etc. Doing life together, in Christ. This is the church. This is Golgota 11. We are not perfect, quite the opposite! Where there are people, there are problems. But we do not meet because we are trying to be perfect. We gather together because in Jesus we are forgiven, and we are learning how to journey together further in God’s grace, joy, and in his gospel! So be prepared to hear about Jesus! We love to worship God through music and through studying God’s Word, the Bible. Our focus is loving Jesus and one another. 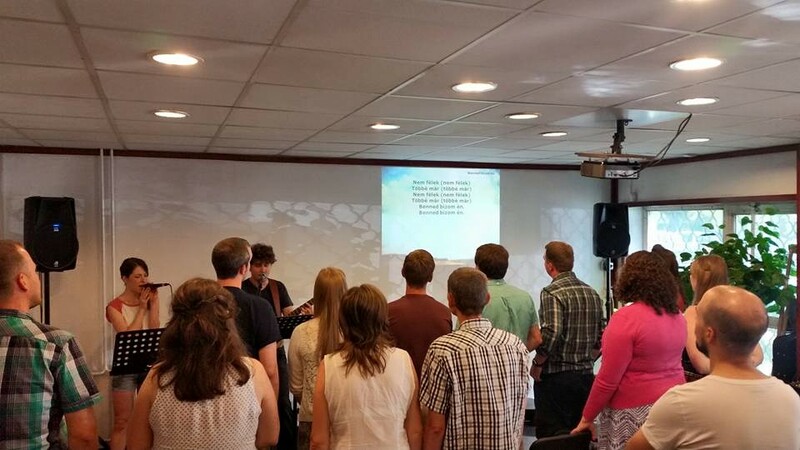 The short history: In 2011 the pastors of GolgotaBudapest saw an opportunity for a new fellowship in the 11th district. A small group of Christians began meeting in Kelenföld, and Golgota 11 was born.